This weekend, in 12 locations around the country, thousands will gather at the March for Racial Justice and its 11 satellite events. STAND CNJ is a proud sponsor of the Trenton sister event. Organized by a coalition of groups and individual activists, the main March for Racial Justice in DC is sponsored by more than 40 organizations, including Jobs with Justice, Code Pink, Jewish Voice for Peace, Moms Demand Action for Gun Sense in America, National Organization for Women, the YWCA, and Common Cause. Marchers will gather for racial equity and political and economic justice for all communities of color. (Learn more here). The DC March will take place on Saturday, Sept. 30th to mark the anniversary of the Elaine Massacre of 1919, in which more than 100 black Americans were killed by white mobs. Find details on the DC march time and location here. New Jersey residents live close to two M4RJ satellite events on Sunday, October 1st. 1. In Trenton, the M4RJ Day of Service, Learning & Unity will be held from 2-6pm at the Trinity Episcopal Cathedral. The program includes breakout sessions, music and the chance to learn more about and donate to community service organizations in the Trenton area. 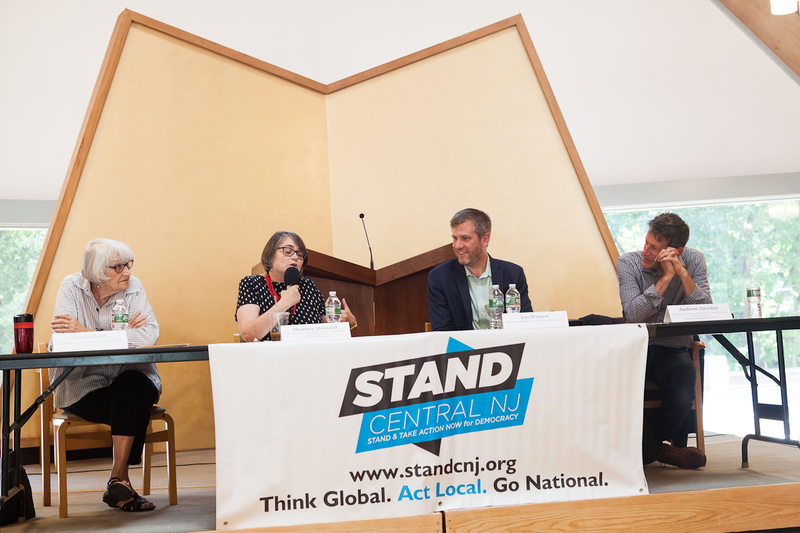 The event is organized by the Central Jersey Coalition for Justice, and sponsored by STAND CNJ, Hope Rises Up, Indivisible Cranbury, Lawrence Citizen Activists, and the Campaign to End the New Jim Crow-Trenton/Princeton Chapter. Pre-registration for the Trenton event is available here before midnight Wednesday, 9/27. You can also register at the door. Tickets are $5. 2. The March for Racial Justice NYC is also on Sunday October 1st. Program begins at 1pm at Jay Street Plaza in DUMBO, Brooklyn. March begins at 3pm. Can’t make it to any events this weekend? No problem! There are other ways to help the March for Racial Justice make an impact. Learn. Educate yourself about the history of racial justice issues in our country, and how they affect people today. Check out the many resources listed here. Post. Share information about the March for Racial Justice on your social media accounts before, during and after the event. 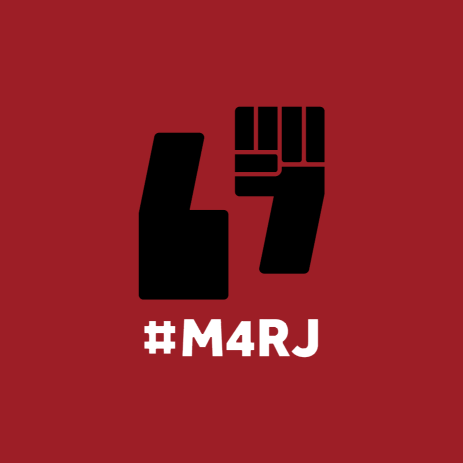 You can also change your profile picture this weekend with a March for Racial Justice Twibbon. Contact your representatives. Call or write to your elected officials at the local, state and congressional level. Stand in solidarity with those who march by telling your reps to do something about racial inequality in the criminal justice system, the school-to-prison pipeline, police brutality, voter suppression, the rise of white extremism, economic inequality and environmental justice. The world was stunned last week when the United States pulled out of the Paris Climate Agreement. Progress on fighting climate change seems more out of reach than ever. But local mayors, governors, and corporations from around the country have given us six reasons why you shouldn’t despair! Read this list to learn about 6 different alliances of local leaders ready to take action on climate change. And get ready to feel more hopeful! 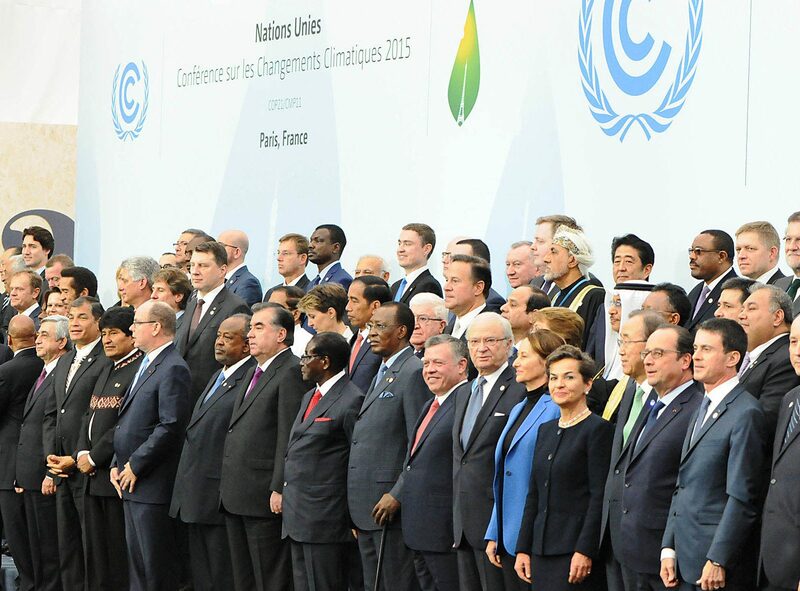 The newly formed United States Climate Alliance. In the wake of the president’s decision to take the US out of the Paris Climate Agreement, the governors of New York, California and Washington state created the United States Climate Alliance on June 1st. By Monday, June 5th, ten more states had joined (Connecticut, Delaware, Hawaii, Massachusetts, Minnesota, Oregon, Puerto Rico, Rhode Island, Vermont and Virginia), increasing the size of the alliance to 13 states! These 13 states make up 31.4% of the US population, and 18.1% of the United States’ greenhouse gas emissions. The bipartisan effort (both Democratic and Republican governors have joined the alliance) will work to meet the goal laid out in the Paris Agreement to reduce greenhouse gas emissions to 26-28% below 2005 levels by 2025. On June 26th, New Jersey’s lawmakers passed a bill in the state Senate (S3317), that would require NJ to join the US Climate Alliance! As of this writing, the bill is in the Assembly Environment and Solid Waste Committee. Call committee chair Tim Eustace (D-38) at 201-576-9199 to voice your support for New Jersey joining the US Climate Alliance! The Under2 Coalition. States and cities from 35 countries around the world and six continents have signed the Subnational Global Climate Leadership Memorandum of Understanding, under the coordination of The Climate Group. The 175 members of the coalition represent 1.2 billion people, 16% of global population, and 39% of the global economy. California, Connecticut, Massachusetts, Minnesota, New Hampshire, New York, Oregon, Rhode Island, Vermont and Washington State are members, as well as 8 major US cities. 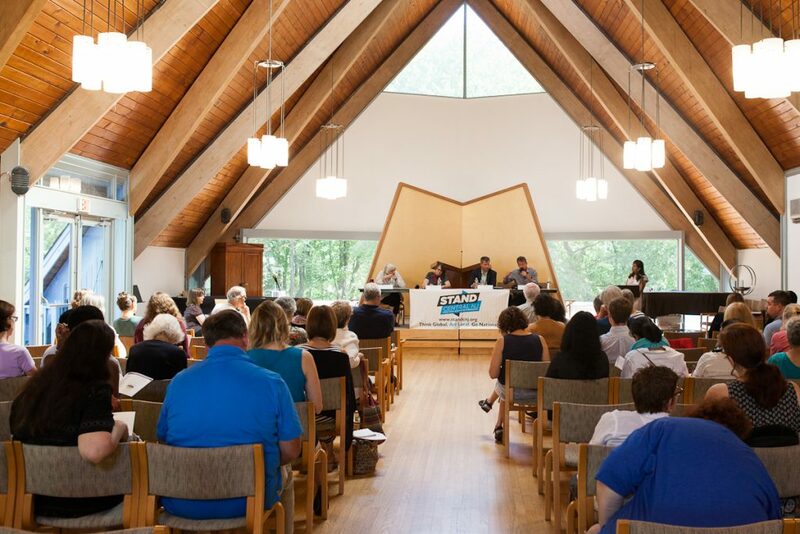 Coalition members commit to reducing greenhouse gas emissions to net zero by 2050. The Climate Group. 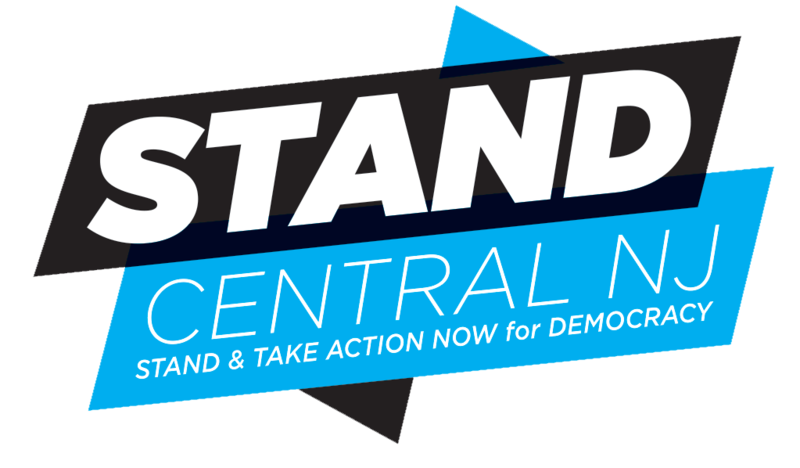 In addition to its involvement with the Under2 Coalition, the Climate Group has also organized over the last decade a States and Regions Alliance to help members phase out usage of coal, move to 100% renewable energy, invest in clean tech infrastructure, and commit to limited emissions by 2020 and net zero emissions by 2050. California, Connecticut, New York, Vermont and Washington are members, along with 30-some other state and regional governments around the world which represent 368 million people. The Climate Group also works with corporations through the RE100 Project, a coalition of businesses that have committed to 100% renewable energy. Ninety-six major corporations, like Google, Ikea, Bank of America and Unilever, have joined RE100 since its inception in 2014. The Climate Mayors. Originally formed in opposition to the executive order scaling back the Clean Power Plan, this group of US mayors grew from 75 to 279 in the days after the US left the Paris Agreement. The mayors who have signed on to “adopt, honor, and uphold” the goals of the Paris Agreement represent 59 million Americans. The 11 New Jersey Climate mayors as of 6/7/17 are: Bruce Packer of Glen Rock, Colleen Mahr of Fanwood, Gayle Brill Mittler of Highland Park, Dawn Zimmer of Hoboken, Steve Fulop of Jersey City, Timothy Dougherty of Morristown, Ras Baraka of Newark, Francis Womack of North Brunswick, Liz Lempert of Princeton, Michael Gonnelli of Secaucus, and Eric Jackson of Trenton. The Sierra Club’s Mayors for Clean Energy. Eighty-four mayors across the country have signed onto a Sierra Club initiative to get local communities working towards 100% clean and renewable energy. Three New Jersey mayors have joined on: Frank Bivona of Franklin Lakes, Philip Kramer of Franklin Township, and Peter Rustin of Tenafly. We Are Still In. In the days after the president pulled the US out of the Paris Climate Agreement, former mayor Michael Bloomberg began working with other state, municipal, corporate and university leaders to pledge their commitment to the Paris Agreement. On June 5th, they published an open letter to declare their goals of reducing greenhouse gas emissions and transitioning to cleaner energy sources. Signers of the letter included 1,219 US mayors, 9 states, 902 businesses and investors, and 183 colleges and universities. Five mayors from New Jersey signed the letter (Gayle Brill Mittler of Highland Park, Steve Fulop of Jersey City, Liz Lempert of Princeton, Mohammad Hameeduddin of Teaneck, and Brian Stack of Union City), along with 8 colleges and universities from our state (the New Jersey Institute of Technology, the Ramapo College of New Jersey, Rider University, Rutgers University, Rutgers University-Camden, Rutgers University-Newark, Stockton University, and the College of New Jersey). While local municipal and academic leaders from New Jersey are members of these alliances, Governor Christie has taken no action to sign up our state. Democratic gubernatorial candidate Phil Murphy announced on June 2 that he will enter New Jersey into the United States Climate Alliance if he becomes governor. Republican nominee Kim Guadagno has not said whether she would join the alliance, though she has supported reentering the Regional Greenhouse Gas Initiative and increasing New Jersey’s use of renewable wind and solar energy. You can contact her campaign here or on Facebook or Twitter to ask her about her stance on, and encourage her to join, the United States Climate Alliance, the Under2 Coalition, and the Climate Group’s State and Regional Alliance! If your mayor has already on signed on to one of the above initiatives, please contact them to say thank you and find out how you can support your town’s efforts to reduce greenhouse gas emissions and use more renewable energy. If your mayor is not mentioned in the list above, contact him or her, as well as the other members of your town council and urge them to join the Climate Mayors, the Mayors for Clean Energy, and/or the We Are Still In alliance! If your university is a part of We Are Still In, write a thank you letter. If your university has not signed on, write a letter urging them to do so!